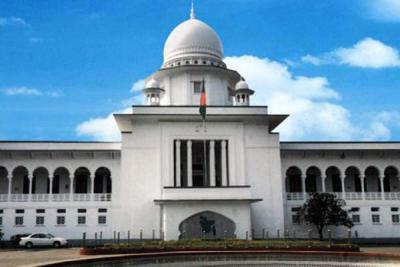 DHAKA, May 28, 2018 (BSS) - The High Court (HC) yesterday issued a rule asking authorities concerned to explain in four weeks as to why it shall not declare illegal the decision of Bangladesh Energy Regulatory Commission (BERC) taken in November, 2017, to increase the price of power. A High Court division bench comprising Justice Moyeenul Islam Chowdhury and Justice Md. Ashraful Kamal issued the rule, asking BERC, its chairman, secretary of Ministry of Power, Energy and Mineral Resources and others to reply the rule. BERC in its November 23, 2017, order, decided to raise price of power in average by Taka 0.35 per unit and the decision came in effect in December, 2017. Consumer Association of Bangladesh (CAB) convener Engineer Mobassher Hossain later filed a writ against the BERC decision. After holding primary hearing on the plea, the High Court yesterday issued the rule. "BERC held a mass hearing over hike in power price from September 25 to October 5, 2017. According to the law, they were supposed to issue written order within 90 days of the hearing. But without issuing the order, the price of power was increased on November 23, 2017," said Barrister Jotirmoy Barua, who moved the writ before the court.